It's only a matter of time before you can grab Nintendo's latest handheld on the cheap, in a matter of speaking. The biggest surprise from Sony's E3 press conference had nothing to do with Uncharted 3, Resistance or LittleBigPlanet. Instead, it was all about PlayStation Vita, the company's next generation handheld. More specifically, the shocking announcement that the Wi-Fi version will retail for $249.99, with a 3G edition for $299.99. Suffice to say, this puts Nintendo in a strange position. The 3DS system currently sells for $249.99 and sales have been below the publisher's expectations. Now consider the fact that the unit is inferior to Vita in the graphics department, and Mario and Co. have a big decision to make. 3DS needs a price cut. One of Nintendo's biggest advantages, at least when it comes to portables, is a lower price than the competition. It's a huge reason why the original Game Boy beat Lynx, Turbo Express and Game Gear. The same can also be said of the DS versus PSP. Nintendo could always point to its hardware and tell consumers it was a better deal. With 3DS and Vita, both systems are equal in price. 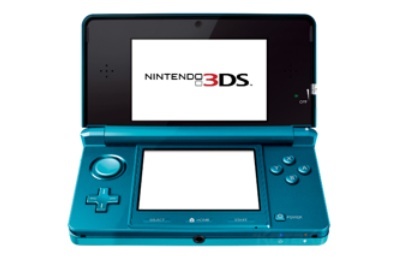 3DS will be a great buy this holiday season, $50 cheaper. Nintendo could take a huge risk and leverage its portable dominance and franchises, thus keeping 3DS at $249.99, or it can do the right thing and announce a $199.99 (or lower) price point just in time for the PlayStation Vita launch; or at the very least, create a bundle that includes the new Super Mario Bros. game, or Mario Kart 3DS. Unless 3DS sales dramatically increase over the next several months, it's the best way for Nintendo to undercut Sony in what should be an interesting portable battle.